The Czech Republic looks to be having something of a nearshoring and IT-driven boom, says Tomas Turkovic, head of outsourcing at Soitron UK. What lies behind this impressive record? The fastest growing economy in the European Union, with a 4.4% rise in GDP in the second quarter. Pop quiz – which country do you think this statistic refers to – Germany, the UK, or the Czech Republic? It’ll come as no surprise to those familiar with the fast-rising country to hear it’s actually the latter. The McKinsey Global Institute has also pointed out that, along with neighbours Poland, Slovakia, Hungary, Romania, Bulgaria, Slovenia and Croatia, the country recorded average annual growth of 4.6 per cent from 2000 to 2008, among the best in the world. It is probably also not a surprise to canny IT services buyers who’ve latched on to just what a great option for nearshoring the Czech nation has shaped up to be in the past few years. “Nearshoring” is, of course, the now dominant trend in outsourcing – the utilisation of the skills and cost-benefits of working with expert providers in cost effective, nearby destinations, instead of farming the work out half-way round the world, with all the attendant distortions in time-zones and cultural mis-hits that can cause. 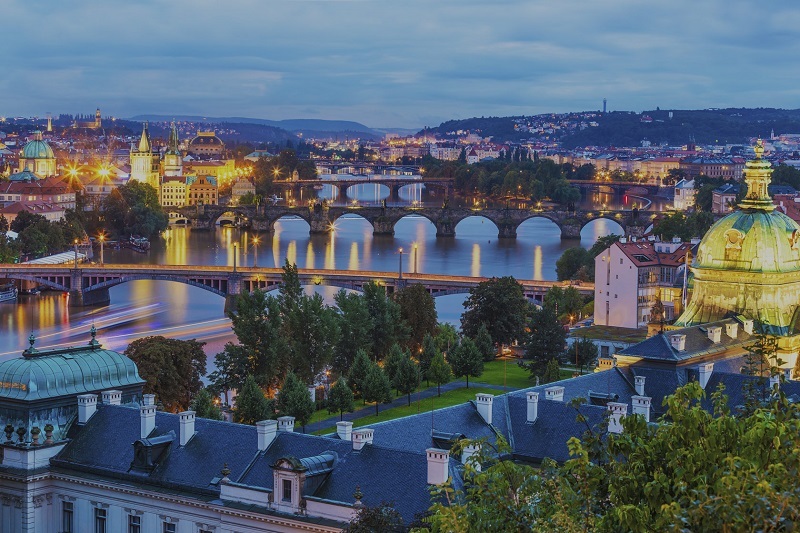 And it’s the thrusting small economies of Central and Eastern Europe (CEE) that are proving to be the favoured nearshoring option for many British IT customers and firms – with Prague clearly the leader in the nearshoring pack. What are the reasons for this Czech nearshoring strength? Observers see this as coming down, fundamentally, to a compelling combination of technical competence, language capability, political stability and the sheer advantage of proximity. Thus AT Kearney, the management consultancy that tracks the global sourcing market, in its 2014 Global Services Location Index, singled the country out as a great nearshoring location for continental Europe down to its “large software engineering talent pools”, while analyst group Gartner, which also closely tracks this scene, has identified the country as one of the top EMEA service locations now, along with Poland and Turkey. In strict technical terms and exposure to important business processes, the country has long had an enviable reputation, even before the fall of Communism. Nowadays, its universities, led by the two main hubs of the Technical University in Brno and Prague, release a stream of accomplished graduates in engineering and computing, say commentators. In fact, Czech youngsters tend to gravitate towards very practical/vocational degrees as a rule, which helps cement their national reputation for a strong work ethic. Western firms working in the market here say they can easily access a wide variety of IT services skills, spanning an impressive range of business process outsourcing (BPO) competencies, a wide variety of application services, plus some infrastructure management capabilities. In coding terms, open source and Linux are highly popular topics, with Czechs flocking to work in the growing number of shared service centres being opened up in the state. Firms you will see here include service providers with truly global delivery capabilities such as Accenture, Atos, CSC, Fujitsu, HP, IBM, Infosys, Tieto and T-Systems. It’s fair to say that the Republic is a highly-developed market with strong local presence of all the key players in the services market. For a small country at the heart of Europe, meanwhile, it’s always been something of a necessity for Czechs to be multi-lingual. That legacy means you can bank on strong competence in core world business languages like English, German and Russian – another reason businesses are looking to Prague for nearshoring help. Good coders who can speak your language are pretty common in the CEE area, though. What’s probably helping the Czechs compete so convincingly with their neighbours, though – a fact attested by that impressive GDP figure – is the political stability of the country, and its commitment to a strong and transparent business culture. To this end, the country’s administrators stress the importance to its entrepreneurs of good copyright, IP and EU data practices (something else UK customers like to see). That doesn’t mean Czechs just like ticking boxes and following rules, though. Execs who’ve worked with firms here often cite “a willingness to try new things” and “striving for excellence” as very common features of the working day. Put all this together, and the third-party nearshoring metrics start to make sense. AT Kearney rates Prague as one of the top ten emerging cities for nearshoring work, for example – and the final bit of good news concerns local salary and benefits expectations, which are rated by those familiar with the job market here to be a bit higher than in Slovakia, but much less than in the UK or the rest of Western Europe. So – technical nous, language fluency, a great location at the heart of Europe and competitive budgets. We can expect Czech Republic nearshoring to grow significantly this year, and exponentially in the next five.